Movies come to life in these unforgettable destinations that inspired your children’s favourite tales, writes Aleney de Winter. My son was five years old when he first announced that he wanted to visit New York. I was suitably impressed by his cosmopolitan tastes in travel until he added that he wanted to “stay in a sewer so he could train and eat pizza with the Ninja Turtles”. While noshing with ninjas in the sewers of New York City isn’t really all that high on my holiday wishlist, who wouldn’t want to visit a location straight out of a fairytale, especially if it comes without the bad guys and all that cinematic melodrama? The settings of your child’s favourite movies are often so dramatic and fantastical, you’d be forgiven for thinking they could only have been dreamt up in someone’s imagination. But more often than not, the memorable movies were inspired by real-life destinations that are every bit as beautiful as their celluloid counterparts. The only thing you’re missing is the talking snowmen and martial arts-loving wildlife. There is no doubt that kids will go loco for Coco, the new Disney offering that is a stunningly animated tribute to the power of family and the culture of Mexico. Steeped in the colourful traditions of Día de los Muertos (the Day of the Dead), a Mexican holiday where families gather to honour their ancestors, Coco is sure to leave families the world over hankering for a Mexican adventure. Set in parallel worlds, the creators of the movie make that easy, having taken their inspiration for the movie settings from real-life locations in Mexico. 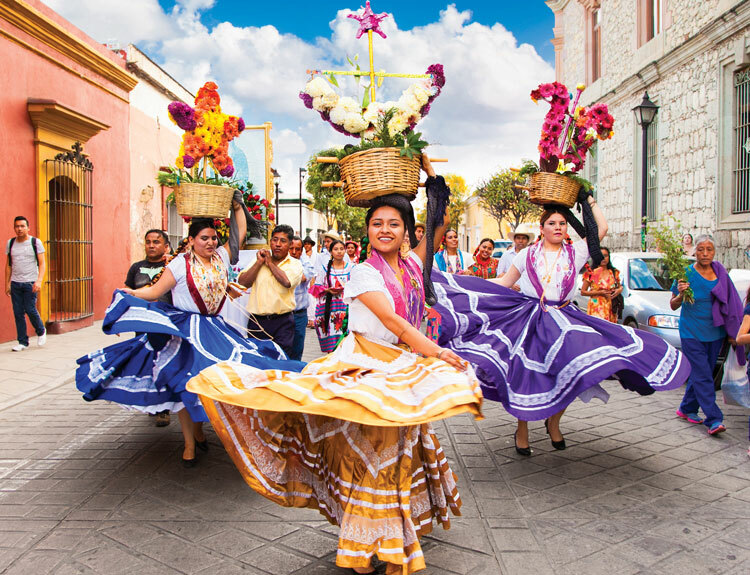 The land of the living is based on Oaxaca, a captivating, mural-strewn city packed with museums, hotels, markets, colourful festivals and mind-blowing Mexican cuisine. And the kaleidoscopic Land of the Dead is inspired by the city of Guanajuato, a former silver town perched on a steep hillside dotted with brightly coloured buildings. With its sassy teen Vikings and their pet dragons, How To Train Your Dragon has become a long-time favourite. If your little Hooligans want a real-life fix of Viking action, Norway should be on your holiday agenda. It is said that the movie’s dragon-friendly utopia of Berk was inspired by Bear Island in the Svalbard archipelago, halfway between Norway and Spitsbergen. While it’s not exactly a tourist hotspot, there’s still plenty of easily accessible inspiration to be found elsewhere in Norway. Visit Oslo’s Viking Ship Museum, explore the rugged Norwegian coast, or explore the Lofoten Islands. Known for their spectacular natural attractions, Northern Lights and midnight sun, it’s the ideal spot for kids to kayak between off-the-beaten track villages in search of their own dragons to train. What little girl isn’t inspired by Moana, the daughter of an island chief who discovers her true calling by taking to the ocean on a raft to defeat a mystical lava monster, armed only with an alarmingly dumb chicken, a fallen demi-god and steely determination? And what parent wouldn’t want to enjoy a holiday on a tropical paradise like the movie’s fictional island of Motanui? When it came to creating Moana, the impossibly blue waters and lush jungle were inspired by the islands of Samoa, Fiji, Bora Bora, Tahiti and the Tetiaroa Atoll. Once the home of Marlon Brando, Tetiaroa was a reference point for fictional Motanui and is home to The Brando, a kid-friendly island resort, voted as one of the world’s best. Everybody’s favourite klutzy martial arts master, Po, of Kung Fu Panda, teaches us that nothing is impossible, including visiting the movie’s fictional Valley of Peace. Or at least the Li River Valley in China’s Guilan region. The bumpy limestone karst mountains and small fishing villages located in the valleys provided inspiration for the movie. 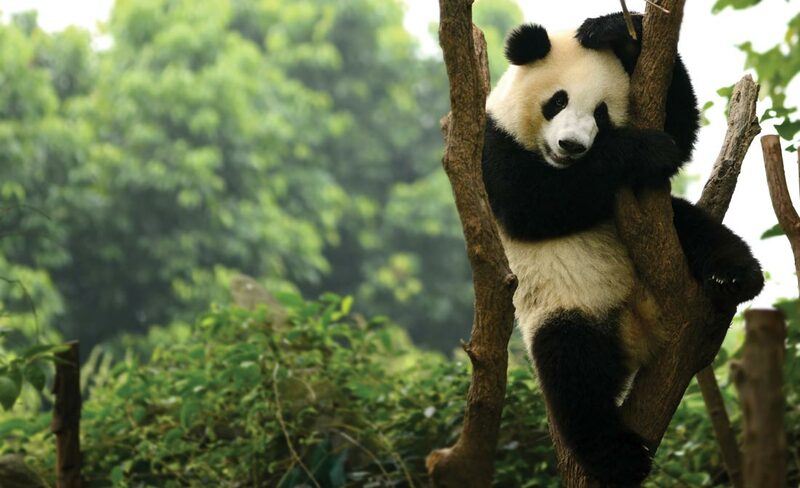 With plenty to see and do, this a black-belt holiday destination for fans of the affable panda. For hands-on kung fu, head to Dengfeng in Zhengzhou to learn from a real master. And if you’re keen to see the real thing, Chengdu Research Base of Giant Panda Breeding is a must, though its resident black-and-white beauties come minus the martial arts moves. When you give the age-old fairytale, The Frog Prince, a jazzy new twist by setting it in New Orleans and accessorising it with a trumpet-playing alligator, a Cajun firefly, a villainous voodoo priest and a waitress called Tiana, you can be sure families will be adding Louisiana to their holiday wish lists. Set in NOLA’s French Quarter and the vine-strewn swamps of the Bayou, the movie’s positive message is that while wishing on a star is a lovely idea, hard work is the way to make dreams come true. 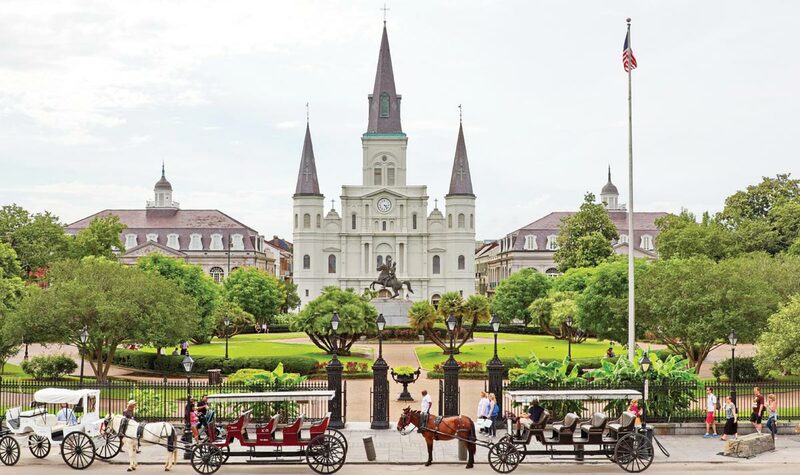 Luckily, if your dream is heading to New Orleans to follow in Princess Tiana’s dainty footsteps, it won’t be hard at all. Get the kids revved up for the road trip of a lifetime along Route 66 and Monument Valley, the real-life inspiration for the animation, Cars. While you may not bump into Lightning McQueen, fictional Radiator Springs comes to life along the famous drive. Indeed, Ramone’s paint and body shop in the movie is a replica of the U-Drop Inn, a restored Art Deco gas station in Shamrock, Texas, and while you may not be able to book in for a stay at the Cozy Cone Motel, a night at the Wigwam Village in Holbrook, Arizona, might do the trick. The surrounding celluloid landscape of Radiator Springs, Ornament Valley, is inspired by the incredible rock formations of Monument Valley. Kachow! Kids the world over got moving and grooving with Julian, the eccentric King of the Lemurs whose penchant for shaking some serious booty stole the show from Alex the Lion and his pals, Marty the Zebra, Gloria the Hippo and Melman the Hypochondriac Giraffe, four New York Zoo residents who escape only to find themselves stranded in Madagascar. But it’s the island country itself that is the real star of the show. Located in the Indian Ocean just off the southeastern coast of Africa, its kaleidoscopic landscape of lush forests, curious baobab trees, canyons, blade-like limestone formations, vast deserts and palm-fringed turquoise coastline, as well as 33 endangered species of lemur, are Madagascar’s biggest draw for visitors. Young adventurers Carl and Ellie Fredricksen dreamed of one day exploring Paradise Falls in the jungles of South America. While that dream never came true for Ellie, Carl finds his way there after stringing his house to oodles of balloons. The good news for fans of the movie is that it doesn’t need to be that hard. 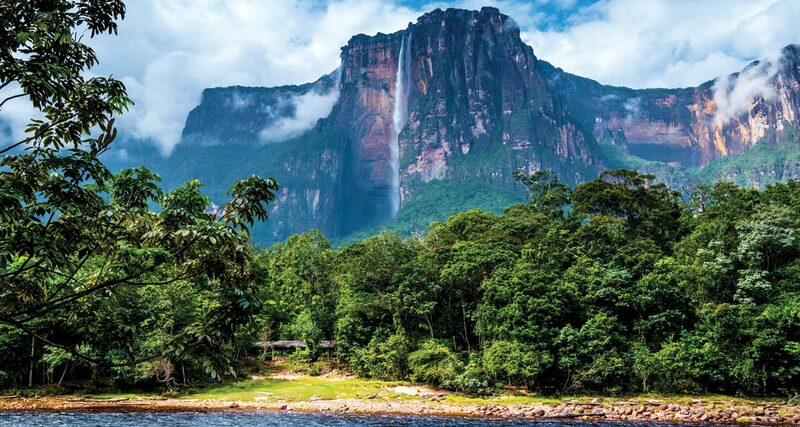 Although Paradise Falls doesn’t exist, Venezuela’s Angel Falls does and visitors can experience the magnificence of the falls up close by helicopter. Perched 800 metres up on the edge of Auyantepui Mountain, Angel Falls is the world’s highest uninterrupted waterfall and the very spot that provided the inspiration for the Fredricksens’ dream destination. Ghibli fans can be spirited away to Japan to follow in the footsteps of Chihiro and Haku. 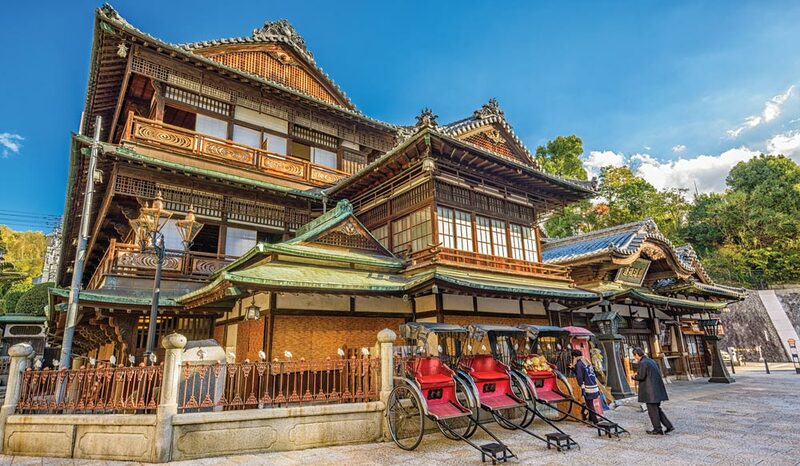 The celluloid setting of Spirited Away is said to be based on the buildings at Edo-Tokyo Open Air Architectural Museum in Koganei, Tokyo. Visitors can also make the pilgrimage to Tokyo’s Ghibli Museum to see artworks, interactive exhibits, sculptures and a lifesized ‘cat bus’ play space. If you and the kids would like to dip your toes into a real-life “bath of the spirits”, Dogo Onsen in Matsuyama, two hours from Tokyo, is said to be Japan’s oldest bathhouse and is a magical spot to experience onsen culture.